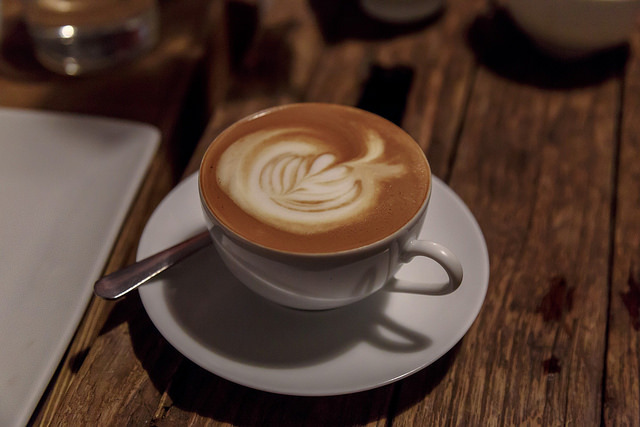 There aren't many spots in Falls Church where you can grab either a cup of gourmet coffee or an artisan cocktail, but Cafe Kindred is one of them. By day, Cafe Kindred's team pours cups of coffee featuring beans from local Vigilante Coffee Roasters, and by night they craft cocktails like the Forbidden Sour with Larceny Kentucky Bourbon, PAMA, simple syrup, and lemon. The beverages are just part of what Cafe Kindred offers. It also dishes out breakfast and lunch Tuesday through Sunday, and dinner eats Wednesday through Saturday. During the week, stop by for a breakfast bite like avocado toast or a ham and cheese croissant with your coffee. On the weekend, indulge in special brunch fares such as brioche French toast or blueberry-flecked pancakes. The dinner menu is mostly a lineup of specialty burgers and sandwiches, like the grilled cheese with cheddar and goat cheese and the Tex-Mex burger topped with guacamole, roasted corn, and pico de gallo.